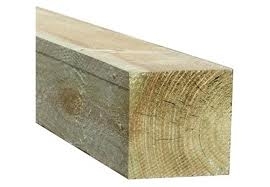 4in x 4in sawn post, 2.4m long. Pressure treated. Suitable as fence posts for panel and closeboard fencing and for outdoor construction projects.